The New Year hasn’t brought any good news for Transocean LTD (NYSE:RIG) as the oil drilling company is losing its share value aggressively. The $9.1 billion debt of the company might reach a junk status without any improvement in crude oil prices, says Moody’s Investor Service. On top of the current financial mess, even the next few years are not likely to lighten up these conditions considering the existing commitments of Transocean LTD (NYSE:RIG) to build more rigs. What is even more detrimental for the oil drilling company is that a junk status would increase its cost of purchasing more rigs. Transocean LTD (NYSE:RIG) is desperately trying to organize its fleet and the company did scrap seven more rigs in December last year totaling the rigs under retirement status to 11. All of these seven rigs were of lower-specification and are not likely to generate any additional cash for the company. Transocean is still the largest company in terms of offshore oil rigs with 79 operational rigs and nearly a dozen under construction. The management of Transocean LTD (NYSE:RIG) earlier said that the company is trying to improve its existing balance sheet by cutting its long-term debt. With a current market cap of $6.15 billion and debt exceeding $9 billion, the future is certainly not promising for the company. 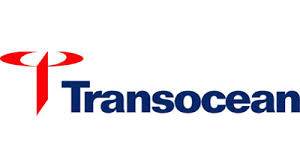 The shares of Transocean are trading at $16.46.